Obesity and chronic liver disease can be triggered by a family of proteins that alter populations of microbes in the stomach, a discovery that suggests the condition may be infectious, Yale scientists report. The study, in the advance online publication of Nature, expands on earlier Yale research that showed how similar microbial imbalances caused by the same family of proteins increases the risk of intestinal diseases such as colitis. The Yale scientists’ most extraordinary finding, they said, was that the altered intestinal environment that led to obesity and liver disease was infectious among the community of mice. “When healthy mice were co-housed with mice that had altered gut microbes, the healthy mice also developed a susceptibility for development of liver disease and obesity,” said senior author Richard A. Flavell, professor of immunobiology at Yale School of Medicine and a Howard Hughes Medical Institute investigator. The proteins in question are called inflammasomes. They are responsible for launching the immune system’s inflammatory response. Inflammasomes act as sensors and regulators of the microbial environment of the intestines. The Yale team found that a deficiency in components of two particular inflammasomes in mice resulted in the development of an altered microbial community associated with increased bacteria. This determined the severity of non-alcoholic fatty liver disease (NAFLD) and obesity in the mice. NAFLD is the result of metabolic syndrome, a collection of disorders that includes obesity and diabetes, and is the leading cause of chronic liver disease in the western world. 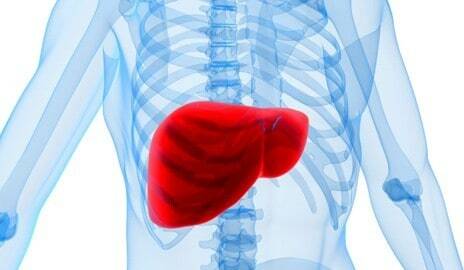 It is estimated that up to 30 million people suffer from NAFLD in the United States alone. Twenty percent of people with NAFLD develop chronic liver inflammation, placing them at risk for cirrhosis and liver cancer, but the causes have been unclear. The researchers who led this project in Flavell’s laboratory are Jorge Henao-Mejia, Eran Elinav, and Chengcheng Jin. Other participating researchers were Liming Hao, Wajahat Z. Mehal, Till Strowig, Christoph A. Thaiss, Stephanie C. Eisenbarth, Michael J. Jurczak, Joao-Paulo Camporez, and Gerald I. Shulman of Yale; Andrew L. Kau and Jeffrey I. Gordon of Washington University School of Medicine; and Hal M. Hoffman of the University of California at San Diego. The study was supported by grants from the Howard Hughes Medical Institute, United States-Israel Binational Foundation, the Crohn’s and Colitis Foundation of America, the National Institutes of Health, a VA Merit Award, and the Claire and Emmanuel G. Rosenblatt Award from the American Physicians for Medicine in Israel Foundation. Postdoctoral fellowships were provided by The Cancer Research Institute, and the Leukemia and Lymphoma Society. For more information on Flavell’s research, visit his website. Thanks for ptnsiog this great video! It should be seen by medical students in University and even general praticionners. I use to work in a short stay hospital with a doctor who was literally repulse by overweight or obese patient. She would use to ask us (I am a dietician) to make them loose weight fast during their stay at the hospital… patients that would usually stay 3 to 5 days after a surgery for example ! Clearly she had no clue. My group tried to explain to her many times that the priority during their stay would be to keep the nutritional needs optimal so the patients would recovert well without malnutrition. But still she would ask us to put them on a “diet” because they were fat. I wonder if that doctor finally got to understand that her request was unrealistic but I am sure glad I am not working with her anymore. Maybe I should send her that video. Interesting findings! There are other substantial scientific findings located at http://www-weight-management-control.com under the clinical studies tab that are suggesting obesity may be coming to a halt soon. Very interesting results of the TNO Studies presented.